Guitars are art themselves, but I also enjoy leveraging their form into other visions. 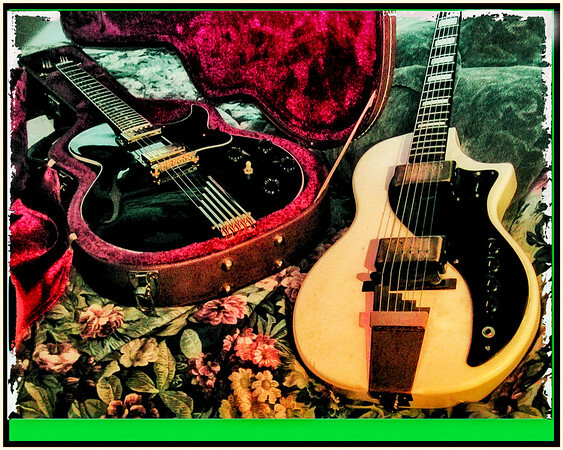 1997 Gibson Howard Roberts Fusion and 1957 Supro. Brite version sized for 8:10 print.